At the core of Intrepid College Prep's vision is the unwavering belief that all students, regardless of their socioeconomic status or educational background, deserve a high-quality, college preparatory education. With this core belief, we are targeting a student population that faces academic adversity based on factors such as income level or home language. Intrepid College Prep has approached development of the educational program very deliberately to meet prepsters where they are instructionally and accelerate them to achieve mastery at and above grade level. The Prepster Support Teacher works with Blue Chip Teachers, the Director of Academic Achievement and Prepster Support Coordinator to ensure our prepsters have the academic supports necessary to excel. At least one year teaching in an urban setting. Grit: A commitment to do whatever it takes to achieve aggressive gains for students who are academically behind. Accommodate student work packets, and homework to ensure students have the right amount of scaffolded to reach common learning objectives. Support advisory duties for a group of students, including home check and consistent family communication. Have structured planning time built into the school day to plan the highest quality lessons. Follow RTI protocols to identify students that may have a learning disability. We offer a generous compensation package. All staff members are equipped with the tools needed to succeed, including a dedicated work space, laptop computer, email, high-speed internet access, and all necessary supplies. Compensation is highly competitive; teachers are eligible to participate in the MNPS Retirement System. Awsaj Academy, a university lab school tightly connected to our research unit, is a college-bound school serving students with learning challenges in Kindergarten through Grade 12 and is dually accredited by Council of International Schools (CIS) and Middle States Association of Colleges and Schools. The expectation for all students is that they will receive a high school diploma and be college or career ready upon graduation. Students are taught in classrooms of no more than ten students per class. Teachers use evidence-based instructional practices to meet the individual needs of students with additional support provided through the ATLC. The Awsaj Teaching and Learning Center (ATLC) is is part of Awsaj Academy and Qatar Foundation, provides support to Qatar Foundation schools, the community and Awsaj Academy. The highly trained professionals in this center design and develop plans to meet the needs of individual students offering services in academic support, speech therapy, occupational therapy, and educational assessment. The center also provides consultation services, evaluations and professional development. Qatar is a beautiful, modern country situated on a peninsula in the Arabian Gulf located near United Arab Emirates, Saudi Arabia, and Bahrain. It has a moderate desert climate of hot summers and pleasant, mild winters. Qatar is an Islamic state and its 1.7 million residents are governed by a constitutional monarchy. Approximately 50% of the population lives in the capital city of Doha which is a modern and rapidly developing city. The majority of its residents are expatriates. Awsaj Academy and other schools are a part of an education complex known as Education City, an educational district on the outskirts of Doha, in the city of Al-Rayyan, Qatar, opened in 2001 by the non-profit group, Qatar Foundation. Education City houses educational institutions including schools, research centers, university campuses, and an equestrian center. Qatar Foundation has schools in both Doha and Al Khor providing education at every level, from elementary school through to university. With a total of nearly 4,000 students, representing around 90 different nationalities, the extensive campus boasts some of the worldâ€™s best educational institutions, all housed in state-of-the art facilities. In addition to schools, a new Qatar National Library building is set to open within the Education City campus in 2014. Application materials including a Search Information brochure are available from the Consultant. The following application materials are required for an application file to be complete. Special Education Teachers are responsible for ensuring that students with Individual Education Plans (IEPs) receive appropriate and consistent instruction and services as prescribed by their IEP. Specialists participate in weekly meetings, develop a schedule to the needs of all of the special education students, collaborate with general education teachers, and provide appropriate instruction toward student needs and IEP hours. Additionally, Special Education Teachers monitor progress and conduct meetings with teachers (weekly) and with parents (regularly) to ensure all students gain the skills and knowledge necessary to advance. Special Education Teachers work closely with the principal, leadership team, and teachers and embrace theCenter City PCS philosophy that special education is not a destination, but a stepping stone. In addition to the faculty member expectations described below, there may be additional responsibilities required as scholar needs arise. A Center City PCS Special Education Teacher is expected to work with school staff to help create an environment that is rich with high expectations and rigor combining specific and constant reinforcement of scholar work and effort. Center City PCS offers a highly competitive salary, bonus and benefits package.Center City PCS is an equal opportunity employer. We will be hiring on a rolling basis. The Creekside School is hiring credentialed teachers to join our small, progressive, private and nonpublic special education school serving students on the autism spectrum at the moderate/severe level in grades 1-12. We are seeking experts in autism and/or AAC to lead our 11-15 year old classroom, focusing on adaptive daily living skills and functional academics that can be generalized into everyday life and work experiences. The Creekside School strives to deliver an exceptional, individualized educational program to students who have the most challenges in communication and sensory processing. Our program is growing fast, and there are several growth opportunities within our organization for proven effective leaders and passionate professionals as our program expands. Please visit our website careers page for a more detailed job description and instructions on how to apply. (www.creeksideschool.org/careers) We look forward to learning about you and what you can contribute to our organization. Let's grow together! RePublic Schools is a network of no excuses, college preparatory, open enrollment public schools. Our mission is to reimagine the public school experience for scholars in the South. RePublic currently leads Nashville Prep and Liberty Collegiate Academy. In 2013, Nashville Prep and Liberty Collegiate were ranked as the top two performing charter schools in Tennessee by Stanford University. This fall, RePublic will open the Nashville Academy of Computer Science. RePublic's Director of Student Supports (DSS) will work closely with each school leadership team and report to RePublic's Partners. The DSS will work to develop a robust and effective vision and strategy for serving students with special needs. To apply for this position, please send a resume and cover letter tocareers@republiccharterschools.org and indicate the position in the subject line. Participates in Special Education in-services and other planning meetings for students. Understand requirements of Public Law 94-142 and State Special Education legislation. Understand role of educational support staff and establish cooperative relationships with them. Participate with other professionals in the IEP development and revision process for Special Education students. 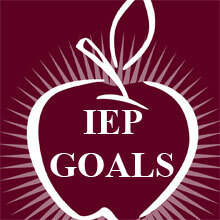 Prepare an individual educational program (IEP) for Special Education students. Prepare an Illinois Office of Evaluation Report for Special Education students. Identify and communicate expectations for students' behavior in the classroom. Organize multiple data collection procedures to determine and monitor each student's present level of functioning and educational needs. Submit weekly lesson plans that describe activities/strategies to be utilized in order to be utilized in order to meet individual needs of each student. Examine personal preferences for instructional models as well as feasible alternatives. Understand ways of altering teaching procedures and strategies to accommodate individual differences among students. 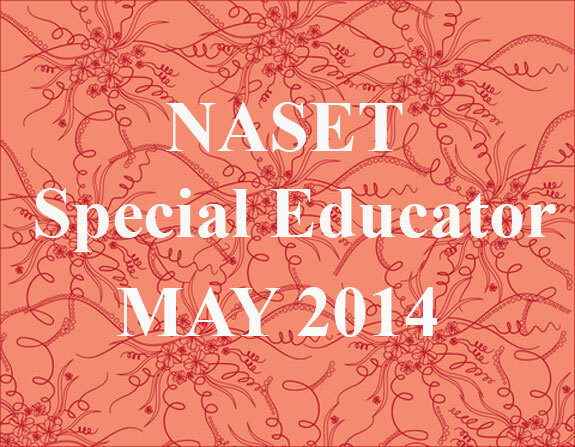 Facilitate integration and use of Special Education support staff in instruction of each student. Identify and differentiate among behavior management techniques. Select and use appropriate behavior management techniques for each student. Facilitate and encourage interaction among students. Organize a data collection system for monitoring the progress of each student. Collect and record student progress data. Arrange meetings to share student progress data with student, parent(s) and social worker. Utilize progress data to revise or set new instructional goals for each student. Understand student's and parents' due process rights. Devise ways to help parents support learning of child at home. Maintain record of parent information and contacts. Cooperate with co-workers by sharing ideas and methods of instruction. Exhibit ethical behavior toward fellow teachers and co-workers. Attend committee and general meetings. Seek assistance, advice, and guidance, when necessary, for colleagues, specialists and/or administrators. Confer, when necessary and possible, with parent(s) to foster a constructive parent/teacher relationship. Forecast equipment and material needs to the Program Supervisor of the Program. Minimum of a Bachelor's Degree with training in Special Education. Must have a valid Illinois Teaching Certificate, LBS 1 Unlimited, or a Type 10Special Education SED/EBD, or a Type 09 with LBS 1 SED/EBD endorsement. Minimum of one (1) year teaching experience. This is a Full-Time Position paying an annualized salary of $43,100-FIRM. ***Due to the high volume of resumes we receive, we regretfully can only respond to those candidates who best meet the requirements of a specific position or whose backgrounds are generally applicable. Even if you do not hear from us in regard to your resume, please rest assured that we retain all candidate information for possible future matches. Screens and/or supervises the screening of infants and toddlers to determine the likelihood of developmental delay. Participates in multidisciplinary evaluation of infants and toddlers with potential delay to determine their level of functioning, strengths, and concerns in cognitive, motor, speech-language, socio-emotional, and self-help/adaptive developmental domains. Determines the appropriate curriculum, strategies, and goals for a program of intervention that address delays or potential delays in these areas. Assists the family in determining its priorities, concerns, and goals for the child relating to cognitive motor speech-language, socio-emotional self-help/adaptive skills. Participates with Early Intervention team and family to develop an appropriate IFSP. Ensures that the goals reflect the concerns and priorities of the family. Provides service coordinator (cased management) for families and serves as liaison to school-based or other community-based service delivery programs. Provides oral and written reports of screening, evaluation, and treatment. Enters appropriate workload and patient data into an approved automated data system. Provides interdisciplinary and transdisciplinary intervention services to eligible children, including direct services, indirect services, consultative, home-based treatment plan, or monitoring services. Consults and provides technical assistance to other team members, staff of Child Development Services (child-care center), family childcare providers, and extended family members to develop a comprehensive network of individualized services. Provides assistance and training to family, extended family members, and childcare providers to implement a home-based intervention plan. Provide consultation to preschool teachers to ensure a smooth transition from Early Intervention to the special needs preschool. Conducts child-find activities in collaboration with other medical departments and community agencies. Serves as liaison to school-based or other community-based service delivery programs and the community health nurses program. Possesses a Master's degree in Special Education or Early Childhood Special Education. Possesses a minimum of two years experience within the last five years in early childhood special education, early intervention. Possesses a state issued certificate/license in special education, early intervention, or early childhood education in one of the 50 states, as a service provider to infants and toddlers with disabilities and their families. Possesses experience as a member of an interdisciplinary medical or early intervention team. Possesses experience in providing family-centered intervention in a community home-based service delivery system. Possesses qualifications to administer standardized or criterion referenced developmental assessment instruments when necessary to determine eligibility under the criteria established by the Individuals with Disabilities Education Act. Has ability to write clear and meaningful functional outcomes and strategies with families on an Individualized Family Service Plan (IFSP). BES supports relentless entrepreneurs to design, found, lead, and sustain excellent charter schools in underserved communities nationwide. The Excellent Schools Network (ESN) is a select group of independently runBES schools that leverage their success to achieve greater results, grow wisely, and transform education for more students in more schools. Several of our ESN schools are currently hiring Special Education teachers. Locations include: Boston, Columbus, Memphis and Phoenix, New York City and Los Angeles. As one of the first charter schools in Illinois, Perspectives Charter Schools has a long record of preparing students for success in college and beyond. Our five schools across the South Side of Chicago offer students an education that combines character development and academic rigor through the A Disciplined Life education model with impressive results. Our students come from some of the most disadvantaged neighborhoods in the country, but they graduate from high school, enroll in college and persist in college at a rate above the national average for all students, regardless of background. Masters content area and is able to teach students in a clear and effective manner to drive academic achievement. Makes meticulous plans for units and lessons that address higher-order thinking skills, and uses formative assessment to constantly adjust plans based on student needs. Differentiates instruction to meet the needs of students with varying academic strengths and weaknesses. Demonstrates effective classroom management skills and builds a classroom culture based on the 26 principles of A Disciplined Life. Actively participates in professional development and works collaboratively with instructional leaders to improve instructional practices. Builds meaningful and professional relationships with students and families. Performs other duties and responsibilities as assigned by the principal or other school leadership. Ability to read and write proficiently using the English language. Ability to interact and speak effectively in interpersonal situations and before groups of people. Teaching children can be physically demanding. Nature of work requires an ability to operate standard business office equipment. Requires the ability to communicate and exchange information, collect, compile and prepare work documents, set-up and maintain work files. Teachers will also be expected to clean and maintain equipment and facility, and may move throughout the community with children. Physical demands require the ability to stand, bend, reach high and low, stoop, walk around the classroom and kneel upwards of 60% of the day. In addition walking up and down stairs several times a day. Must be able to lift 15 to 20 pounds for short periods of time and push and pull 15 to 20 lbs. Majority of work will be performed in a general office/school environment. Perspectives offers a comprehensive and competitive benefits package for all full-time employees, including health insurance, dental, vision, paid time off including holidays, short and long term disability, paid life insurance, 403B and the Chicago Teachers' Pension Fund. RTHS is seeking one or more EC Teachers beginning in the 2014-2015 school year. Responsibilities will include case managing a set cadre of students which includes providing specially designed instruction, scheduling and facilitating their meetings and being responsible for all required paperwork, under the periodic supervision of a compliance director. Our goal at RTHS is to move high school students to independent learning capabilities. Salary very competitive with regional scales, experience and abilities. RTHS is a two-year-old STEM charter school with a strong, collaborative team of educators and administrators. Interested parties may email CV and cover letter to Pamela Blizzard below. Certified and experienced in Exceptional Childrens Services; North Carolina residents only may apply, or those with specific, concrete plans to move to NC. Interviews are held in person at the school in late April, early May. State Health Plan, State 457b retirement plan with 3% match, Dental, Vision and ST Disability. Strong, supportive, collaborative team of teachers who WANT an EC teacher to help them with their students.